How can Wii Sports teach us about metaphysics? Can playing World of Warcraft lead to greater self-consciousness? Zork, Grand Theft Auto, and Civilization? A variety of increasingly sophisticated video games are rapidly overtaking books, films, and television as America's most popular form of media entertainment. It is estimated that by 2011 over 30 percent of US households will own a Wii console - about the same percentage that owned a television in 1953. 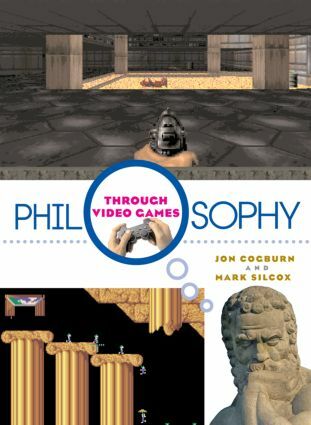 In Philosophy Through Video Games, Jon Cogburn and Mark Silcox - philosophers with game industry experience - investigate the aesthetic appeal of video games, their effect on our morals, the insights they give us into our understanding of perceptual knowledge, personal identity, artificial intelligence, and the very meaning of life itself, arguing that video games are popular precisely because they engage with longstanding philosophical problems.